The Russian president announced an unplanned inspection of the Air Force. 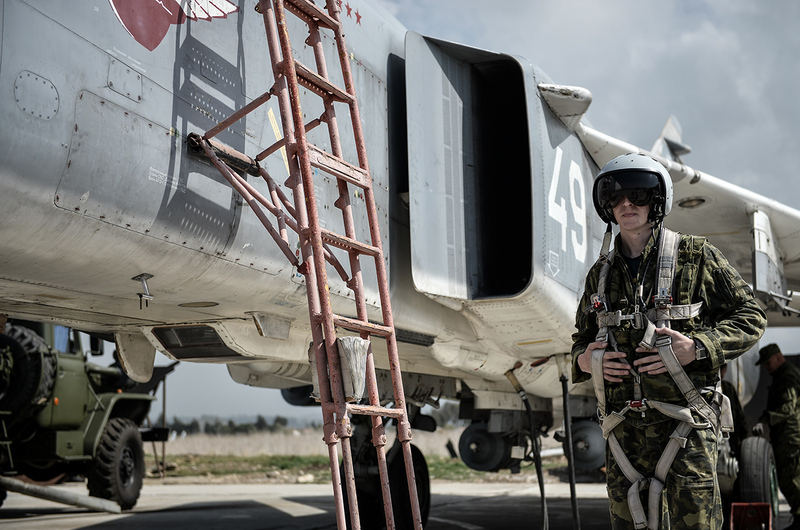 Experts tell Gazeta.ru how the Syrian campaign has changed the approach to Air Force pilot preparation and armaments. On Feb. 7, Vladimir Putin ordered the military to conduct a snap inspection of the Air Force, said Russian Defense Minister Sergei Shoigu. All aviation and air defense commands, headquarters, units and divisions must be on full combat alert. In December during a Defense Ministry board meeting, Shoigu reported to the president that the level of preparation for Russian servicemen had improved thanks to the Syrian campaign. "84 percent of Russian Air Force flight personnel received combat experience in Syria," said the minister at the meeting. One expert close to top Air Force officials said that in the beginning of 2016 there was a shortage of pilots, totaling nearly 1,500 people. "We were forced to take emergency measures to increase our flight personnel," said the expert. "We lacked experienced pilots who were capable of fighting. Today we've solved this problem." To meet the demand, military flight institutions had to reduce the study period for some specialties from five to four years. The reduction of flight personnel in previous years had clearly taken a toll. "A big part of resources - finances, ammunition and armament – now go for the training and retraining of pilots," said the high-ranking source. "Now that more resources go towards combat activity, we've combined combat preparation and combat activity." This has helped the Air Force obtain well-trained personnel, including long-range, strategic, fighter and army aviation. More than 160 models of new and advanced weapons were tested during the Syrian campaign, Shoigu said in December. During combat, experts spotted shortcomings, deviations from expectations, and any type of inconvenience, said a Gazeta.ru source in the military-industrial committee. Sometimes, software or hardware modifications were made right on the spot. Also, cruise missiles were used at maximum distances, and high-precision weapons were used at various times of the day, in various parts of the year and from different locations, which demonstrated their reliability. "The new Su-30SM and Su-35S fighter jets performed very well," said the source. "Pilots believe the Su-35 is one of the best planes in the world, and its new weapons are still undergoing tests in order to improve combat potential." The modernized Su-24 and Su-25 planes, which the Americans nickname a ``flying tank,’’ also proved to be very effective, especially after they were equipped with the SVP-24. This device calculates the bomb release time in relation to flight speed, climatic conditions and other parameters. "We are very satisfied with this device," said the source. "Essentially, it has given new life to old ammunition. We don't know of anything else like it in other countries. Our long-range aviation is also equipped with these devices." All Russian aircraft in Syria were equipped with the Vitebsk system that defends against shoulder-launched, surface-to-air MANPADS. Vitebsk also proved fully effective. Overall, the military is satisfied with the results of air defense systems during the Syrian campaign, which included the S-400, the S-300V4, and the Pantsir surface-to-air missile. Last month during a Defense Ministry board meeting, Shoigu reported that the Air Force successfully carried out the mission President Putin tasked them with, despite a lack of support from the international coalition headed by the U.S.